The other week I had to pop to London for a couple of internship interviews, so after I thought I would make the most of the sunshine and my travel card. 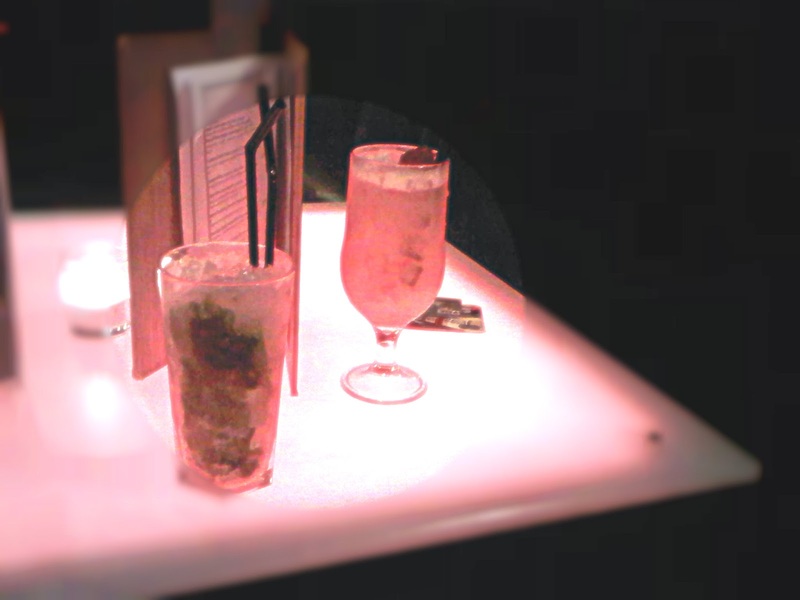 So I ended up meeting an old school friend and having a packed day of cocktails and culture (my favourite!). My friend Lucy and I have being trying to find a date to go to the David Bowie exhibition at the V&A, for some time now. There has been such a hype around the showcase and thousands of tickets being sold and as Bowie fans we knew it was something we NEEDED to go to! So we queued for at least 45 minutes that Friday morning to get tickets for the 2.45 showing, and our tickets were only £9 because we were students too, score! While we had some time to kill we thought we would hop on the tube and grab some lunch in Covent Garden. Covent Garden is definitely one of my favourite places and in the sunshine it is even more fabulous. 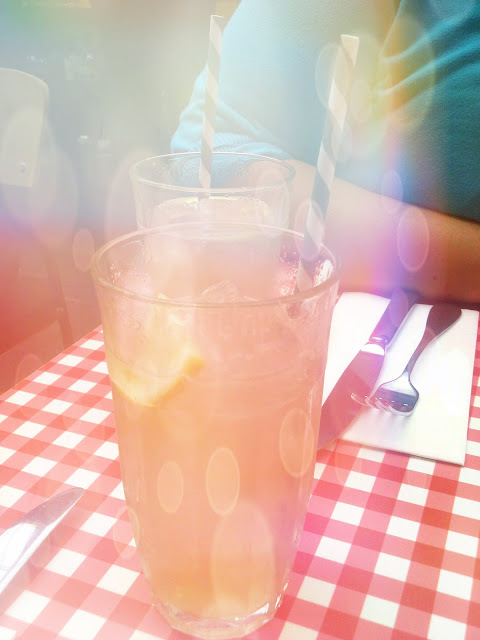 I also tried a Jamie Oliver restaurant for the first time and it was amazing, I really recommend their cloudy lemonade! 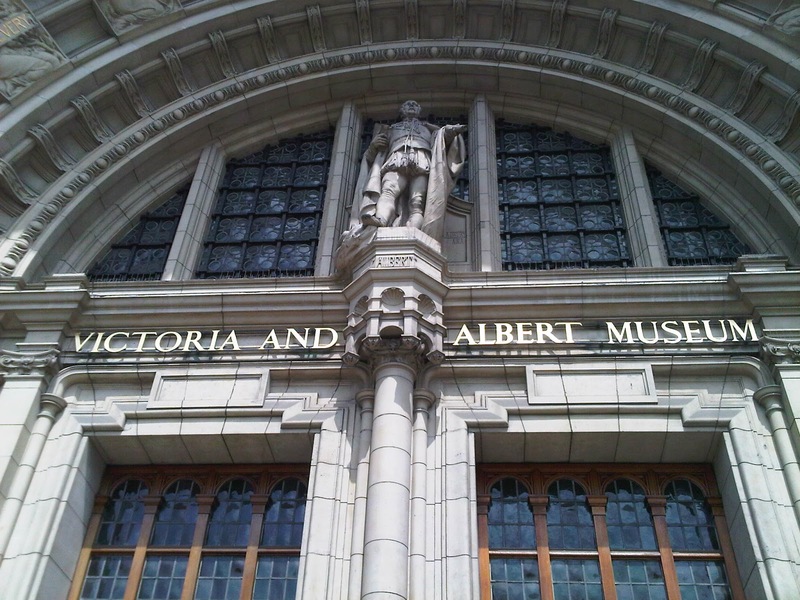 Once we had soaked in the most of the sunshine and finished window shopping we headed back to the V&A for the exhibition. On the way back I also found my dream house, pretty much opposite the V&A/close to Harrods, you know the sort the huge white townhouses, just dreamy! 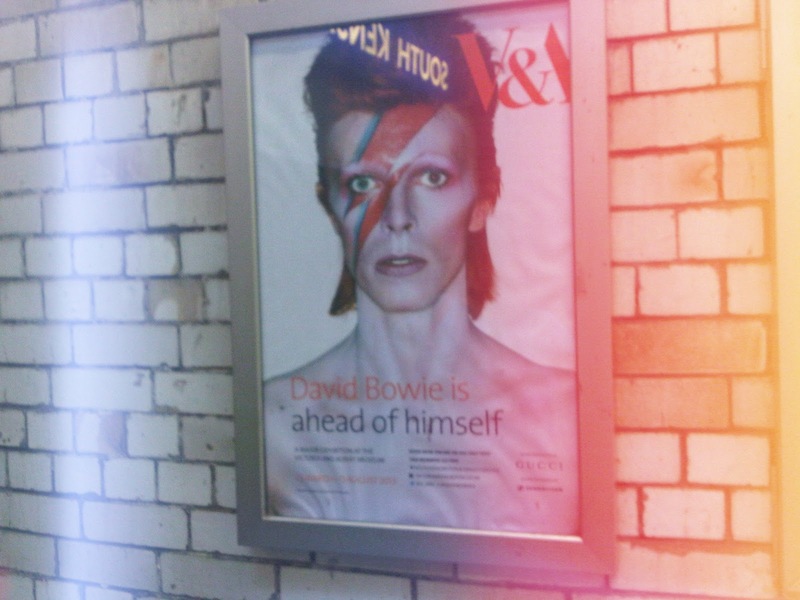 Anyway I digress, so yes the 'David Bowie Is...' exhibition was amazing! It is full of Bowie's outfits, letters, equipment and so on, there was a great headset that plays interviews and music throughout the two full rooms. I think my favourite pieces in the exhibition were the Alexander McQueen coat/letter and the first lyrics written for Ashes to Ashes//Life on Mars. Before Lucy and I knew it, two hours had passed and our audio had finished, but we were mesmerised by huge screens playing some of Bowie's iconic performances. 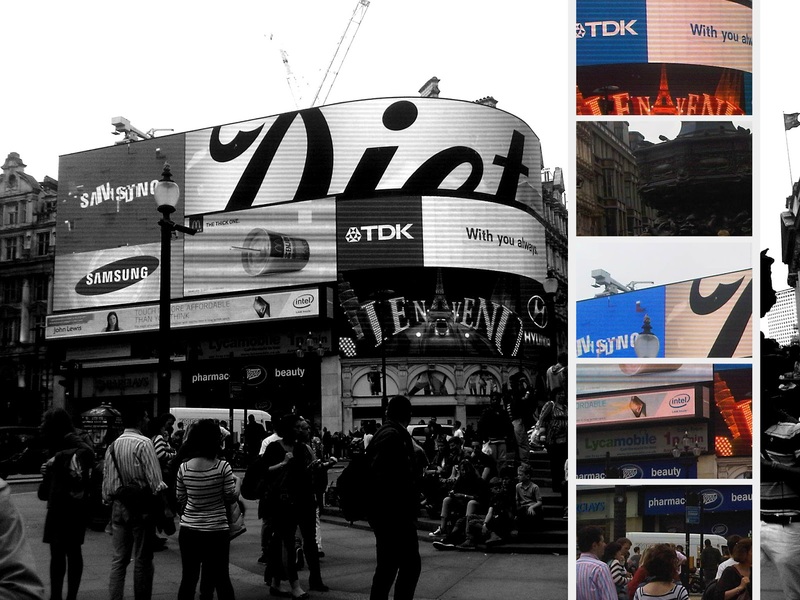 We did have a chuckle to some people singing out loud and talking very abruptly with their audio sets still on! 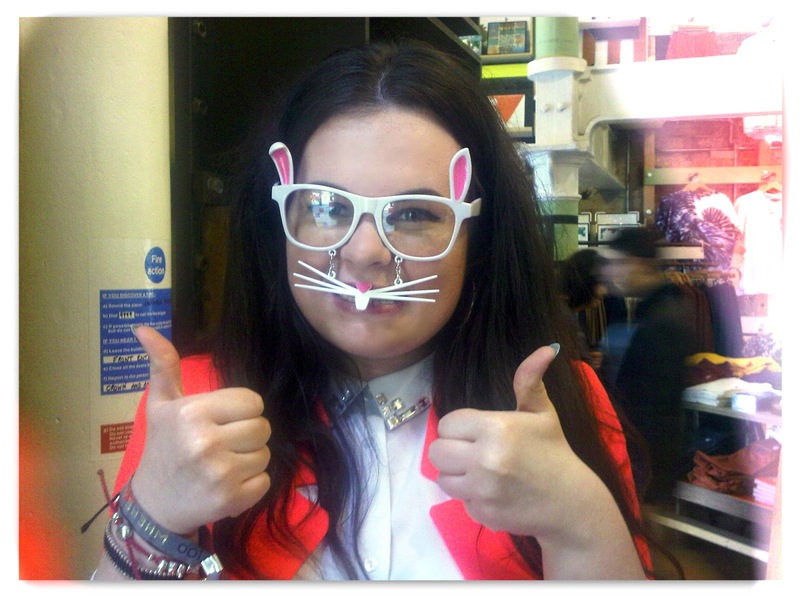 Me being super cool in Urban Outfitters! I really recommend this exhibition to anyone interested in music or fashion, it shows the influences David Bowie has had on the majority of artists from all creative worlds. Sadly no photos or sketches were allowed in the exhibition so I can't share any images with you! But the V&A is an amazing place anyway, so get yourself down there pronto! After all of the culture we decided we needed a drink so we headed down to Carnaby street to grab some mojotios and enjoy the last of the sunshine!